I presume that the best way for us to celebrate the 200th birth anniversary of Karl Marx is to study his works and how relevant have been his revolutionary teachings to social history and current circumstances and to consider the continuing validity and vitality of his teachings. We make a renewed critique of capitalism and monopoly capitalism and strive to reinvigorate the revolutionary movement of the proletariat and people to end the monstrosity that monopoly capitalism has become and realize socialism preparatory to communism. As Marx has long admonished us, the point is to change the world. At the age of 26, Marx fully embraced the communist cause of the working class in 1844. This was the year when he published his Economic and Philosophic Manuscripts of 1844. He pointed to the inhumane process of capitalism by which the capitalist class alienates from the working class the products of its labor and thus accumulates capital. This is congealed unpaid labor which is used to dominate and exploit living labor in further cycles of exploitation. It was also in 1844 when Marx started his lifelong comradely partnership with Engels whose work, Condition of the Working Class in England, impressed him immensely and profoundly. He and Engels agreed to collaborate on research and theoretical work in connection with the working class movement. Marx developed the theory of proletarian revolution on the high road of the development of civilization. He drew from the most advanced sources of knowledge of his time in order to formulate the three component parts of Marxism: materialist philosophy, political economy and social science. He put these forward as integral weapons of the proletariat for understanding its plight and for liberating itself and the rest of mankind. 1. He studied German philosophy, especially the idealist Hegel and materialist Feuerbach. He adopted the scientific materialist outlook and formulated materialist dialectics as the law of contradiction within nature and society and as the method of thinking and acting by putting the erstwhile metaphysical dialectics on a materialist basis, not just the perception of sensuous reality but up to the critical-revolutionary activity to change social reality. He applied dialectical materialism on social history and founded historical materialism to explain the transformation of one form of society to a higher one through class struggle and through the class contradictions within and between the mode of production and the social superstructure. He traced the progressive sequence of the primitive communal society, slavery, feudalism, capitalism, socialism and communism. Marx´s major philosophical works are the Economic and Philosophic Manuscripts of 1844, Theses on Feuerbach, The German Ideology (co-authored with Engels), The Holy Family or Critique of Critical Criticism against Bruno Bauer and Company (also co-authored with Engels) and The Poverty of Philosophy in riposte to Proudhon´s The Philosophy of Poverty. These works are complemented by Engels´ Ludwig Feuerbach and the End of Classical German Philosophy, Anti-Dühring and Dialectics of Nature. 2. Marx studied British political economy, especially the exponents of the labor theory of value, Adam Smith and David Ricardo. By applying Marxist dialectics rigorously on abundant economic data, he wrote Das Kapital, his colossal and penetrating critique of capitalism. He studied the commodity as the cell of largescale machine production and as the embodiment of labor power (measurable in average socially necessary labor time) and came up with the theory of surplus value to explain exploitation, with surplus value (unpaid labor) as the source of industrial profit, bank interest and land rent) in the very process of capitalist production. He traced the accumulation of capital through profit-making by the capitalist competitors, the speedier growth of constant capital in plant,equipment and raw materials over variable capital for wages, the tendency of the profit rate to fall, the crisis of overproduction in relation to the decline of real wages and consumer demand and the desperate use of finance capital and colonial expansion under the slogan of free trade to maintain the industrial capitalist economy. The works of Marx in political economy include A Contribution to the Critique of Political Economy, the four volumes of Das Kapital (on the capitalist process of production, process of circulation, the capitalist process of production as a whole and the theories of surplus value) and Wages, Prices and Profit, which can be used to facilitate the study of Das Kapital. The Communist Manifesto and the Critique of the Gotha Program explain how socialism is realized and proceeds to communism. 3. Marx studied French social science, especially the revolutionary democrats and the utopian socialists. He recognized the series of class struggles in history as the cause of social transformation. He appreciated the class struggle of the proletariat as the key to the democratic mass struggle for socialism and combated the voluntarism and wishful thinking that characterized utopian socialism. He ascribed to the French revolutionary democrats the earlier conception of class struggle and asserted that his contribution is the conception of class struggle as one leading to the class dictatorship of the proletariat in socialist society. This is the core of the theory of scientific socialism, which is based on revolutionary mass struggles, as so well explicated in the Communist Manifesto published in 1848. This is the best known of the works of Marx and Engels. It was written in connection with the Communist League. It presaged the Europe-wide uprisings of the workers and peasants but did not yet directly exercise influence among them. Marx and Engels were active in the First International, the International Workingmen´s Association. Members of this association took part in the Paris Commune of 1871, which lasted as the prototype of proletarian dictatorship for a little over two months until it was drowned in blood by the bourgeoisie. As a social scientist, Marx took into full account the vestiges of feudalism in France, Germany and Russia and the validity of the demand for democracy among the peasants, who are at best led by the proletariat but took notice of how the bourgeoisie try to seize the initiative from the proletariat. He had a comprehensive view of the situation of the 1848 uprisings in Europe as reflected in his The Eighteenth Brumaire of Louis Bonaparte and The Class Struggles in France, 1848 to 1850 before the Paris Commune in 1871 could occur and come under his study in Civil War in France. The First International withered away when its headquarters were shifted from Europe to New York. But the influence of Marxism would spread faster through the Second International, with Engels and others propagating Marxist theory and practice after the death of Marx on March 14, 1883 at the age of 64. By the last decade of the 19th century, Marxism became the main current in the European working class movement, both in the social democratic parties and trade unions. Since the defeat of the Paris Commune in 1871, free competition capitalism developed into monopoly capitalism or modern imperialism on the scale of several industrial capitalist countries, with the newcomers to the colonial game struggling to redivide the world as economic territory and as geopolitical domain. Lenin upheld, defended and developed Marxism in the era of modern imperialism and proletarian revolution. Lenin recognized clearly that monopoly capitalism or imperialism was the highest and final stage of capitalism and was the eve of socialist revolution. He saw imperialism as decadent, moribund and aggressive and that the imperialist wars of aggression could be turned into revolutionary civil wars by the proletariat in both capitalist and underdeveloped countries. He contributed greatly to the development of dialectical materialism by identifying the fundamental law of dialectics , which is the unity of opposites, and stood firmly against empirio-criticism and the logical positivist trend in philosophy and successfully navigated the complicated political waters of Russia, in which the Mensheviks, constitutional democrats, Narodniks, anarchists and czarist diehards were obstacles to proletarian revolution. Lenin debated with and defeated the classical revisionists headed by Kautsky in the Second International. Unwittingly, Kautsky gave Leninism the highest praise by labeling as Leninism his Marxist position against social chauvinism, social pacifism and social imperialism, As thinker and leader of the Bolsheviks, Lenin also prevailed over a wide array of bourgeois parties and currents in the struggle against Tsarism and subsequent bourgeois rule in Russia. Without Marxism firstly and Leninism consequently, the Bolsheviks could not have won victory in the Great Socialist October Revolution under the circumstances, during and after the first inter-imperialist war, World War I. Lenin and Stalin made a series of ideological and political victories along the Marxist-Leninist and proletarian-socialist line to establish and develop a powerful socialist country over one-sixth of the surface of the earth. They promoted the Third Communist International and inspired the proletariat and the oppressed peoples of the world to rise up and defeat imperialism and the local reactionary classes. Several socialist countries and people´s democracies arose as a consequence of the persistent general crisis of monopoly capitalism, the second inter-imperialist war and the decisive role of the Soviet Union and various peoples in defeating the fascist powers . By 1956, socialist countries and national liberation movements embraced one-third of humankind and became a bulwark against the rise of US imperialism. But alas this was also the same year when the modern revisionists headed by Khrushchov seized power from the followers of Stalin in the Soviet Union and started to undermine socialism and promote modern revisionism and capitalist restoration not only in the Soviet Union but also in Eastern Europe and elsewhere. . In 1964, Brezhnev in turn grabbed power from Khrushchov only to deepen and accelerate the restoration of capitalism. The great communist Comrade Mao resisted modern revisionism as soon as it reared its ugly head in the Soviet Union and in the Moscow meetings of communist and workers parties in 1957 and 1960. He also contended with the Rightists and worshipers of Soviet modern revisionism within China who opposed the Great Leap Forward and the socialist education movement. By 1966, in consonance with Marxism and Leninism, Mao put forward the theory and practice of continuing revolution under proletarian class dictatorship through the Great Proletarian Cultural Revolution in order to combat revisionism, prevent capitalist restoration and consolidate socialism. He won great victories in the next ten years of the cultural revolution through twists and turns. But after his death in 1976 the revisionists headed by Deng Xiaoping succeeded in carrying out a coup and the consequent restoration of capitalism under the guise of pursuing reforms and opening up to advance ”socialism” (capitalism in fact) with Chinese characteristics. The restoration of capitalism in China has vindicated the Maoist line of pursuing the theory and practice of continuing the revolution under the dictatorship of the proletariat through a series of cultural revolutions. Mao was able to stand up against Soviet modern revisionism and its Chinese agents while he was still alive. For this, he was credited by the Chinese proletariat and people for leading the Chinese revolution to victory in the new democratic and socialist stages until the subversive currents of Soviet revisionism and US imperialism could reverse these after his death. Mao made major contributions to Marxist-Leninist philosophy, political economy and social science. Thus, he was able to lead the Chinese revolution victoriously. And today, he is still respected as the founder of the People´s Republic of China by those who now rule China and use bourgeois nationalism, capitalism and bourgeois cosmopolitanism as their guide. The influence of US imperialism and Soviet modern revisionism in China cannot be underestimated. Thus, China is no longer socialist. The theory and practice of continuing revolution under proletarian dictatorship was aimed at ensuring that the proletariat and the people of the world would defeat imperialism and march toward the worldwide victory of socialism. But it was frustrated upon the restoration of capitalism in China. By 1989-91, the revisionist-ruled regimes were ripe for replacement by outright bourgeois regimes in the Soviet Union and elsewhere, with China retaining a thin veil of communism for bureaucrat capitalism. The US became the sole superpower and winner in the Cold War over the Soviet Union which had collapsed due to the final treason of the Soviet revisionists headed by Gorbachov. All the anti-communists and their camp followers prated that humankind could not go beyond capitalism and liberal democracy. With overweening arrogance, the US spread the notion that capitalism is everlasting , that socialism is dead, and pushed further its neoliberal economic policy and its neoconservative policy of aggressive wars, wasting trillions of dollars. Earlier, in the 1980´s under the Reagan regime, the US had outwitted itself by engaging the Soviet Union in a mutually costly arms race and by conceding to China consumer manufacturing in order to accelerate the integration of China into the capitalist world. Now the world capitalist system has a big problem. Two more big capitalist powers, China and Russia are vying for political and economic hegemony and challenging the old capitalist powers, the US, Japan and the European Union. Under these conditions, the crisis of the world capitalist system and aggressive wars are occurring more frequently than ever before. These are conditions favorable for the resurgence of the anti-imperialist and socialist movements. After several rounds of domestic and global economic crises, culminating in the financial meltdown of 2008 which continues to depress the global economy, the US now finds itself in an unprecedentedly rapid strategic decline and in what the Pentagon no less calls the post-primacy period. The apparent major rivals of the US are now China in economic terms and both China and Russia in military terms in a multipolar world of escalating interimperialist contradictions. In the meantime, while the socialist cause has conspicuously retreated since 1991 or even earlier, the proletariat and oppressed peoples of the world have undergone terrible suffering under the rigors of economic neoliberalism and aggressive wars. But precisely because of these, the contradictions among the imperialist powers have intensified and the forces of revolutionary resistance have arisen from the proletariat and oppressed peoples. 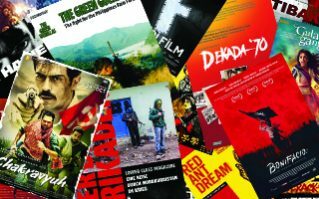 For several decades, we seem to be trapped in a world of recurrently worsening crises, social turmoil and wars in the era of modern imperialism and proletarian revolution. But we are now in a period of transition to a world of revolutionary flow against the evils and rottenness of decadent monopoly finance capitalism. We are being reinvigorated by the continuing validity and vitality of Marxism and its further advances in history and in the current circumstances. Proletarian revolutionaries and genuine communist and workers’ parties that are guided by Marxism-Leninism-Maoism are the best prepared and most effective in waging revolutionary struggles against imperialism, revisionism and reaction. Arising from their revolutionary ranks are the most resolute and militant thinkers and leaders of the revolutions led by the proletariat in various countries. 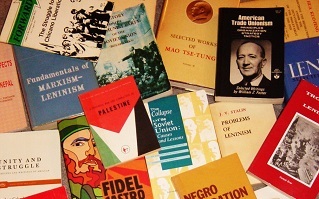 We are at a crucial juncture in world history, in which the parties and mass organizations of the proletariat and the people are once more avidly studying the teachings of Marx, Engels, Lenin, Stalin and Mao and grasping Marxism, Leninism and Maoism as their theoretical and practical weapons in the resurgence and renewed advance of the world proletarian revolution for national liberation, democracy and socialism against imperialism and all reaction. The epochal class struggle between the proletariat and the bourgeoisie will not end until the final and total victory of socialism and communism. 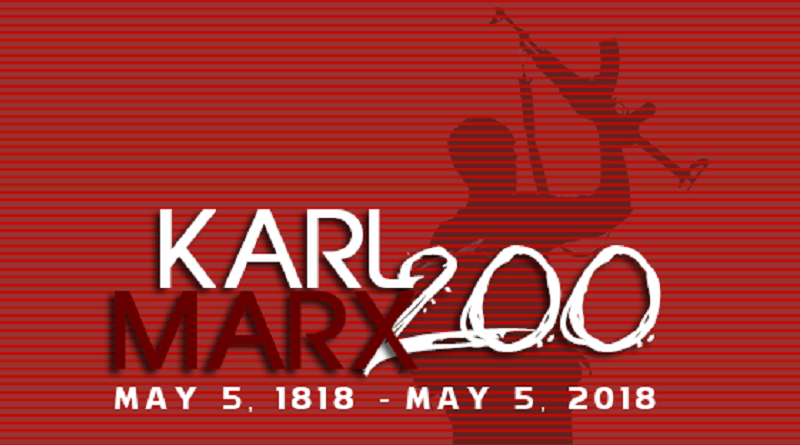 Long live the memory and teachings of Karl Marx! Long live all the genuine communist and workers’ parties! Long live the world proletarian-socialist revolution!